The Africa Growth Initiative (AGI) at Brookings released a report of top priorities for Africa. The AGI “brings together African scholars to provide policymakers with high-quality research, expertise, and innovative solutions that promote Africa’s economic development.” The Foresight Africa report shows promising opportunities in Africa. 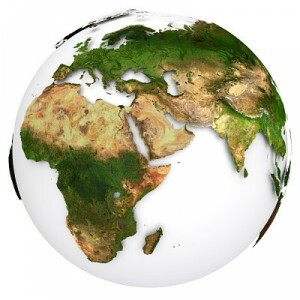 It outlines the top priorities for Africa in 2013. Moving from “economic stagnation to above 5 percent GDP growth on average,” Africa is prospering. Ethiopia, Ghana, Mozambique and Tanzania are some of the fastest growing economies in the world, and African governments are embracing this growth by lowering transaction costs. Africa’s economic growth is creating a new middle class. This middle class means new markets for goods and services. The Foresight Africa report notes that it is a prime time for investors. Some African countries are mirroring Asian models and engaging their diasporas for economic and social development. South Africa, for example, is using TalentCorp’s model. TalentCorp is a partnership between the government, the private sector and the overseas diaspora. The model aims to bring highly skilled Malaysians living abroad back to their home country. Countries everywhere recognize the potential in harnessing Africa’s diaspora. In 2011, the United States Congress proposed the African Investment and Diaspora Act. The bill was designed to support African development. Ghana and Kenya are on the cutting-edge and have already “established units within their respective governments to oversee diaspora affairs.” AGI’s Foresight Africa report points to these examples as models for other countries.